Enjoy the luxurious beachfront life with flexibility for residence and generating income. Situated in the residences portion of the building but set up with the hotel package (optimal return), this Northwest Corner unit will blow you away with a combination of ocean and city views. Plank wood floor mimics a boat deck runs throughout the unit and onto 2 balconies w/plenty of space for living & dining. Luxe full sized stainless appliances. Cast wood kitchen cabinets w/walnut and gray/brown undertones complement the yacht theme. Half bath plus Double vanity master bath features textured walls, spacious glass shower, separate WC and jacuzzi tub. A fresh-water heated pool, sunbathing areas & a poolside restaurant fill the 20,000-square-foot serenity deck on top of The Ocean Resort Residences. Please, send me more information on this property: MLS# F10154490 – $820,000 – 551 N Fort Lauderdale Beach Blvd Unit 1802, Fort Lauderdale, FL 33304. 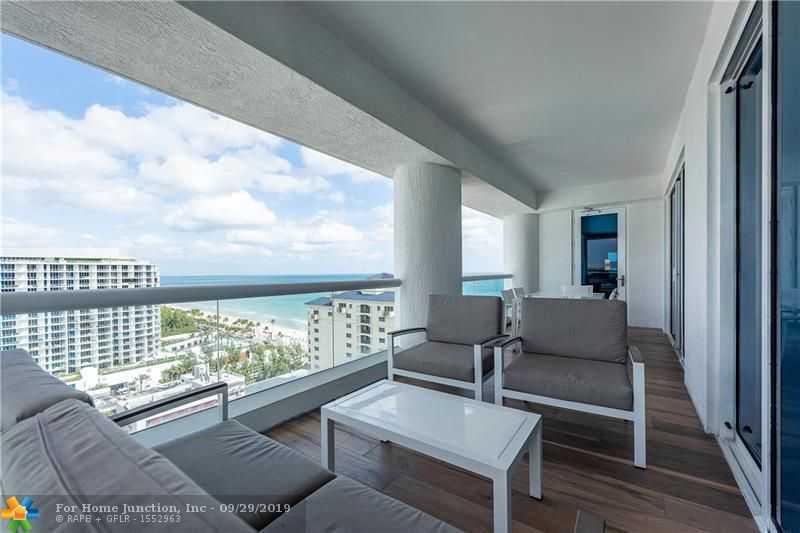 I would like to schedule a showing appointment for this property: MLS# F10154490 – $820,000 – 551 N Fort Lauderdale Beach Blvd Unit 1802, Fort Lauderdale, FL 33304.